Master’s Manna is excited to announce it will be offering Yankee Candles for sale until January 11th. To ensure delivery before Christmas, please your order online by November 17th. 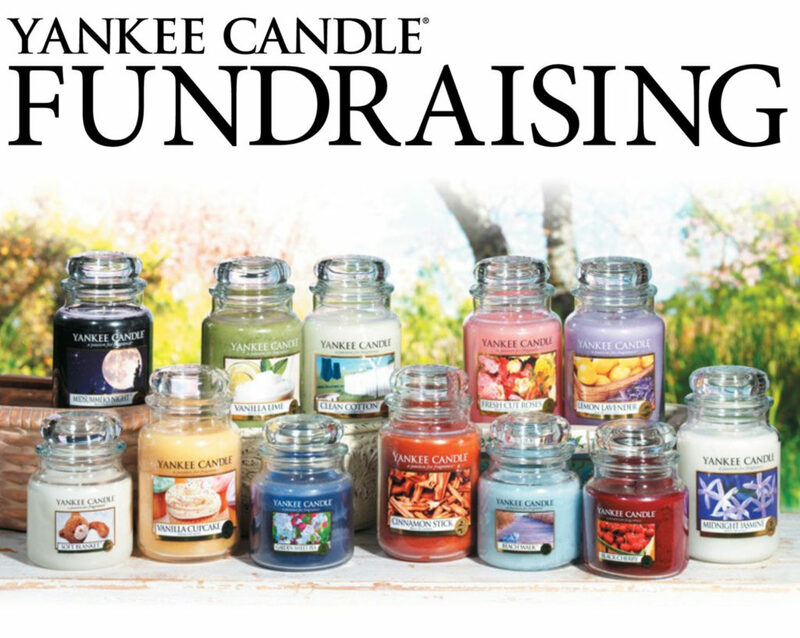 By purchasing Yankee Candle products, Master’s Manna will receive 40% of the proceeds which will be used to support our mission of providing food, meals, and essential needs to our neighbors. Today you can make a difference in the life of a child and that family! Today YOU can bring HOPE! Come PAINT! Relax, Enjoy great food and incomparable company! Have FUN!! Save THIS date! Hope to see you there! September is HUNGER AWARENESS month! Help Fill the BOOT!! Your MONETARY DONATIONS are critical to ending the FEAR of HUNGER and ensuring our neighbors do not have to worry about where their next meal will come from. TODAY what you GIVE MATTERS! We need your MONETARY donation. PLEASE consider giving! WALLINGFORD — The owner of the building housing Master’s Manna hopes to sell the property by 2018. The food pantry is asking for the community’s help in raising $1.4 million to purchase the site and sustain services. Master’s Manna provides food, clothing, medical attention and other services to more than 3,000 people in the area. The organization has a five-year lease ending in 2020 for an 11,600-square-foot space at 46 North Plains Industrial Road. Founder and CEO Cheryl Trzcinski said she was notified six weeks ago that the property had been listed for sale. “It’s not the first time the building has been up for sale, but I believe the landlord will look at any serious offer,” Trzcinski said. Property owner Leonard Rossicone said he will be taking a huge financial hit if he does not sell the building by 2018, when his tax credit expires. The property at 46-48 North Plains Industrial Road contains the food pantry and a second building with several retailers. Rossicone said he has listed the property for $1.15 million. He said the decision to sell was “strictly a dollar and cents item,” and has nothing to do with the food pantry. Trzcinski praised Rossicone for his generosity, saying the pantry is currently four months behind on its $6,700 rent. Trzcinski said if a new owner were to purchase the building, they may be able to legally sever the pantry’s lease because of the late rent. The outcome would be devastating for the people the organization services. “It means no food on a weekly basis, no medical care on a weekly basis, no clothing, no showers and laundry facilities, no access to vocational and education training for the six schools we are written into their curriculum,” Trzcinski said. To avoid that scenario, the organization is asking the community to pitch in the money needed to purchase the property. Trzcinski said they will be attempting to sell 11,600 “bricks” for every square foot of the space for $200 each, which would raise $1.4 million. The money left over from purchasing the property would go toward sustaining operations. “We need the communities that we serve to step up and help us procure this property so we can continue to serve those that we serve,” Trzcinski said. Mayor William W. Dickinson Jr. said he hopes the food pantry is able to continue its mission. The Record Journal’s article, [pg. 2, August 2] concerning Wallingford’s Masters Manna, and its impending loss of leased space, was an all too familiar tale. 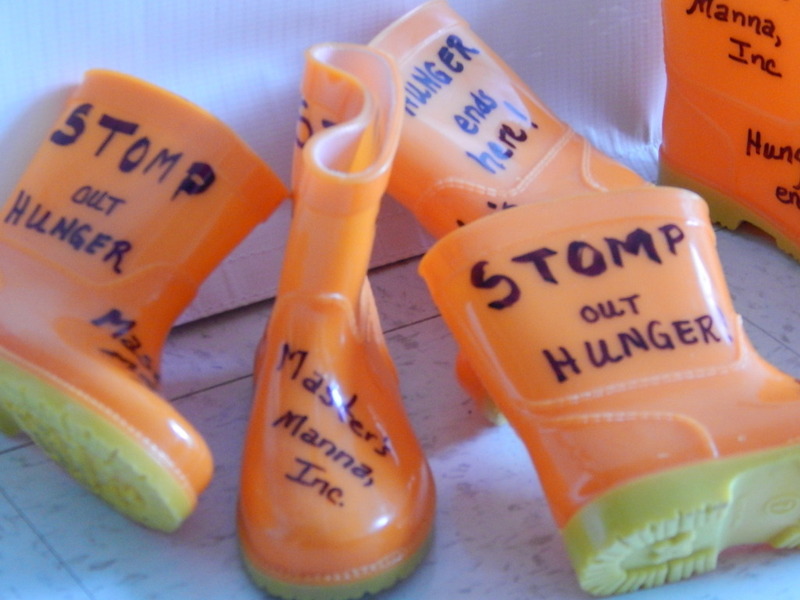 “Financial reality trumps societal benefits.” Masters Manna is much more than a “food pantry” which serves over three thousand clients, on an ongoing basis. It provides meals through its marvelous kitchen, clothes and laundering facilities to those in need of those services, and most of all, a place where the clients are respected as human beings who might require help and emotional support during a difficult period of their life. Whole families are often beneficiaries of Masters Manna’s menu of services, whether it might be Nutritional Counselling, Preventative Medical/Dental instruction, and Vision services. Many of the clients at Masters Manna fall outside of the conventional government-sponsored benefit programs, due either to income level or the transient nature of that population. 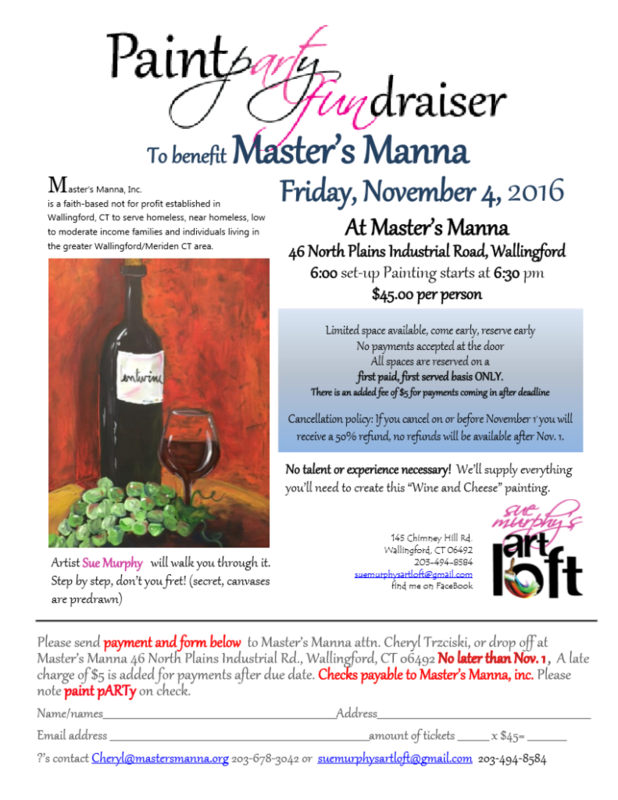 Masters Manna is not a Government sponsored agency, and relies solely on contributions from the Community. Masters Manna integrates its volunteer base with training opportunities for area Training School members, Boy Scouts, and referrals from the Courts. As a Faith-Based, non-denominational enterprise, it recognizes the strength of family values in a society such as ours, and strives to impart that respect in the minds of those it is dedicated to serve. But all of the above requires money, and more importantly, a place to exist and continue services. Masters Manna’s leadership has weathered any number of Storms in its short existence, but this one, loss of appropriate location, is the most serious. Please stay tuned. Flood-Frechette and her colleagues, Wallingford Community Women President Cindy Parent and Allie Stevens worked with Michael Sayers of the Chester Hadlyme Mystery Party, who donated his services to assure maximum return for the event. The dinner raised $2,754. The donation that will result in enough food from the Connecticut Food Bank for Master’s Manna to prepare more than 5,500 meals. The check was presented by the Wallingford Community Women on June 8 at the Connecticut Food Bank distribution center in Wallingford. Trzcinski said Master’s Manna was grateful for the support and the food it will provide. “We work with the Connecticut Food Bank to provide access to nutritious food for people in our community. These dollars will go a long way in doing that.” Master’s Manna offers both a food pantry and a dining center for people who need help meeting basic needs for food. The food programs are only part of a range of services Master’s Manna offers people, including a health clinic, a market offering clothing, accessories and more, training and education services and laundry and hygiene facilities for people who are coping with homelessness. 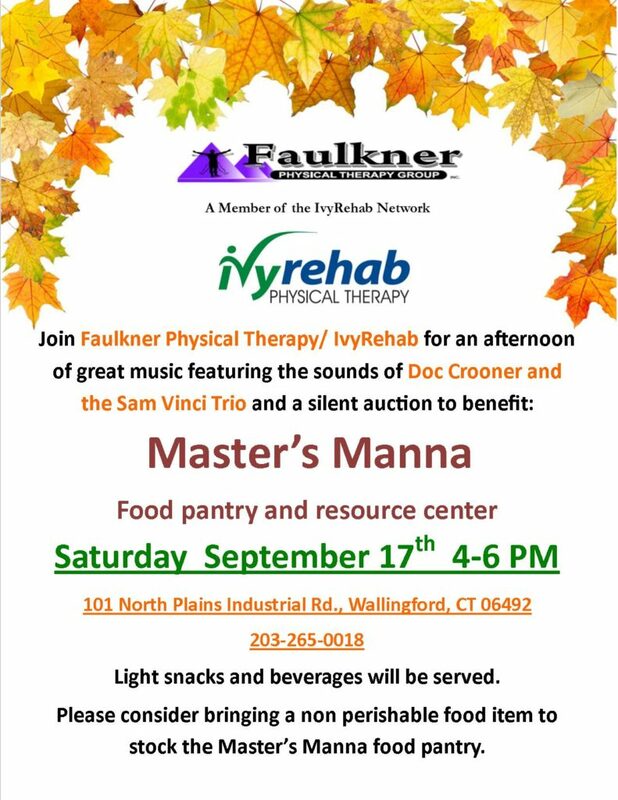 Master’s Manna, Inc. is a faith-based not for profit established in Wallingford, Connecticut, to serve homeless, near homeless, low to moderate income families and individuals living in the greater Wallingford/Meriden area. Master’s Manna, Inc.’s mission is to help homeless, near homeless, low to moderate income families and individuals obtain essential needs. Find them on the web at www.mastersmanna.org and @mastersmannainc on Facebook and Twitter. The Connecticut Food Bank is the state’s non-profit leader in the fight against hunger and the largest provider of charitably donated food. The Connecticut Food Bank partnered with the food industry, food growers, donors and volunteers to provide enough food last year to prepare more than 19.2 million meals. We distribute that food through a network of community based programs to more than 300,000 people across six Connecticut counties. Visit us on the web at www.ctfoodbank.org, like us on Facebook and follow @CTFoodBank on Twitter and Instagram. Shopping by appointment only. Click here for more info. See our donations page for details.